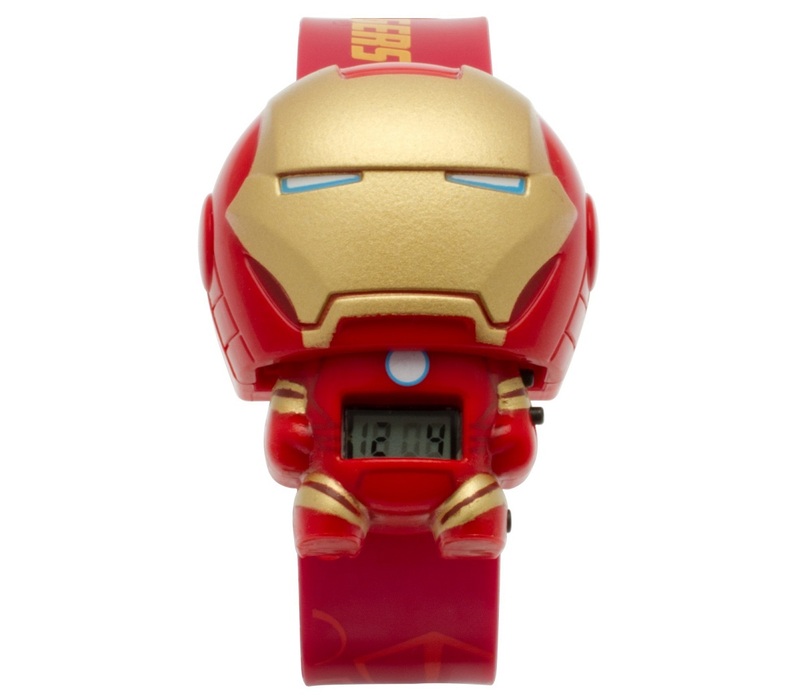 Super heroes are always on time. One thing your kid will always need is a way to tell the time. If you're keen to help them learn to do it themselves, without having to constantly bug you, get them their own timepieces... and none come quite so appealing to a young 'un than the following. Writing the review at exactly the time we intended to, we check out the LEGO and Super Heroes themed clocks and watches from ClicTime. First up, we realise that we are in a very privileged position here, as we get sent awesome things from many different companies. ClicTime decided to out-do many other brands by sending us a shed-load of their products; some highlighting their exclusive LEGO license, others showing off their relationship with marvel and DC, and also a few to introduce their own range of BulbBotz clocks and watches. 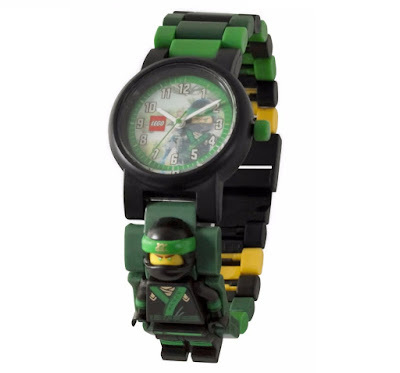 ClicTime also produce the LEGO line of watches, whereby kids actually construct the strap itself by clipping the links together. We were also sent a couple from this popular line; one from Star Wars and one from Ninjago. 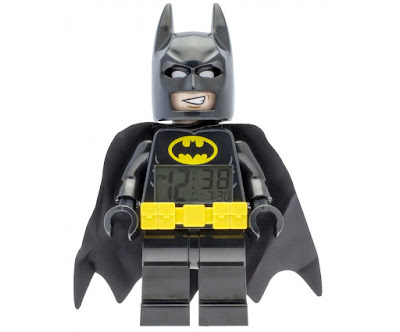 The watches themselves are simple affairs, with nice and clear faces and hands to aid in time-telling, while parts of the strap feature a character in minifigure form, albeit slightly smaller and unable to come off. But, the products we were most keen to check out were the BulbBots. 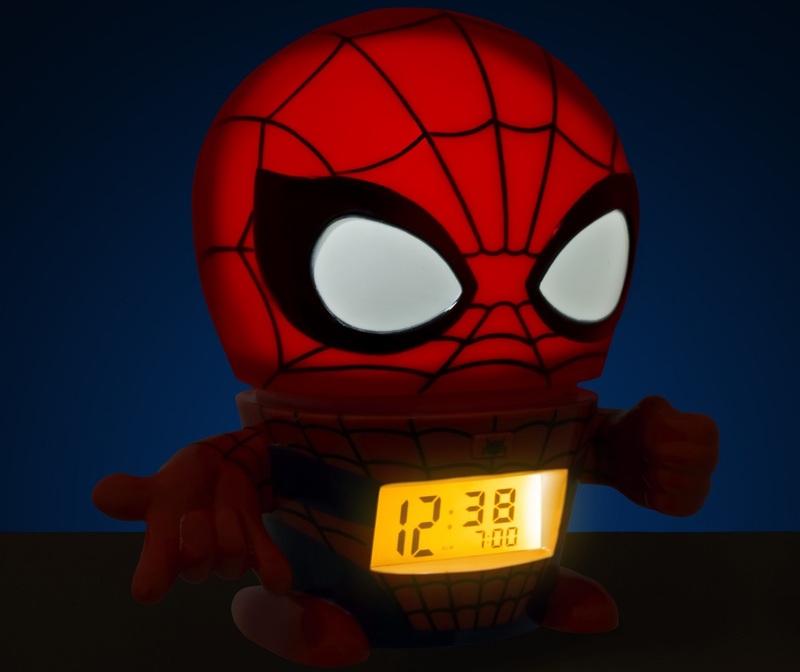 This line, again featuring alarm clocks and watches, also draws from ClicTime's Star Wars, Marvel, DC, and Minions licenses, but with a very un-LEGO aesthetic. The alarm clocks, such as the C-3PO and Spiderman models we received, are stylised versions of the characters they represent, with bulbous bulb-like heads and compact bodies. 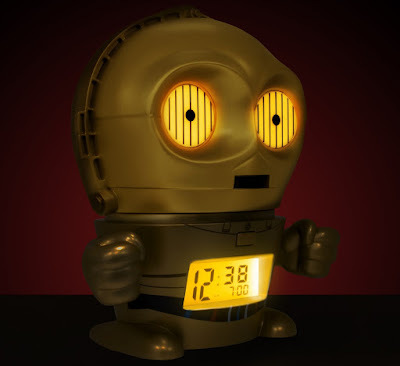 Press the heads and they light up, acting like a night light while also telling the time. Plus, if you press a small button on the front of the character, you can hear them speak. Spidey lets loose a 'It's web slingin' time', as you might expect, while Threepio utters his famous 'human-cyborg relations' line. It's a nice touch, and adds a degree of playability to the clocks. The watches are also a tonne of fun. The Iron Man one we got is just head, until you press on the underside when his body, complete with digital clock, pops out. Press a little switch on his teeny tiny cute feet, and his head will glow, while the buttons for changing the time are also on the body. 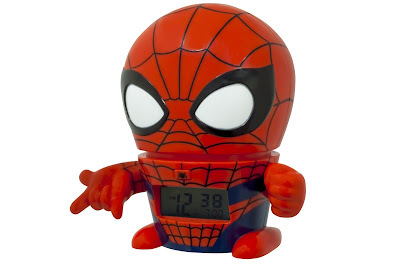 It's ultra cute, and having the actual clock face hidden inside the character's head makes for a fun and suitably impressive mechanism for the kids to operate. So a great mix of products and a very appealing list of licenses to choose from. Obviously we think the LEGO stuff is awesome, seeing how we love LEGO, but the new BulbBotz range offers a unique redesign to your favourite characters, while also being functional and fun timepieces to use. Check them out.